Save Earth on a tight budget. 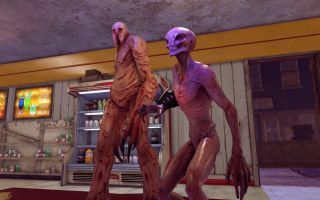 XCOM 2's alien menace won't vanquish itself, so 2K and Firaxis have decided expand their XCOM agent recruitment drive by hosting a free weekend on Steam, starting today and running until March 25. Go beat up ET on a budget. If, after a few days of enjoying it for free, you reckon this is your cup of tea, you can buy it to keep for a significant discount. The base game is 75 percent off, so you can grab it for £8.74/$14.99. The XCOM 2 Collection is also on sale, reduced by 45 percent. It's absolutely worth your time and one of the best strategy games you could hope to be bullied by. Check out Tom's XCOM 2 review for more. It's even better with the War of the Chosen expansion, which adds a whole bunch of new threats and systems to the campaign. Along with the base game and expansion, XCOM 2's DLC is also on sale, including Anarchy's Children, Alien Hunters, Shen's Last Gift and the reinforcement pack. It doesn't look like Steam's updated them with the new prices yet, but check back soon.